Zen Priest Dōjin Sarah Emerson, the co-Head Priest at Stone Creek Zen Center in Sebastopol, California, returns to Houston Zen Center to lead a half day of sitting with a dharma talk focusing on the Bodhisattva Jizo, the Bodhisattva of Fearlessness. The day begins with zazen/sitting meditation, alternating with walking meditation. The dharma talk will focus on Jizo Bodhisattva who is renowned as a great protector of children, particularly those who have died, but also travelers, pilgrims, mothers in birth, firefighters and people in danger. We will look together at how Jizo's power of fearlessness and ease in the face of suffering supports all beings walking into the fire: of grief, of transitions, and of engagement with the suffering of the world. In the afternoon we will share the Jizo Ceremony. This day of sitting and the ceremony itself offer a deep opportunity to honor loved ones we have lost, along with an opportunity to continue to heal deeply. The day includes opportunities to meet one-on-one with Rev. Dōjin. The day of meditation includes lunch and materials for the Jizo Ceremony. 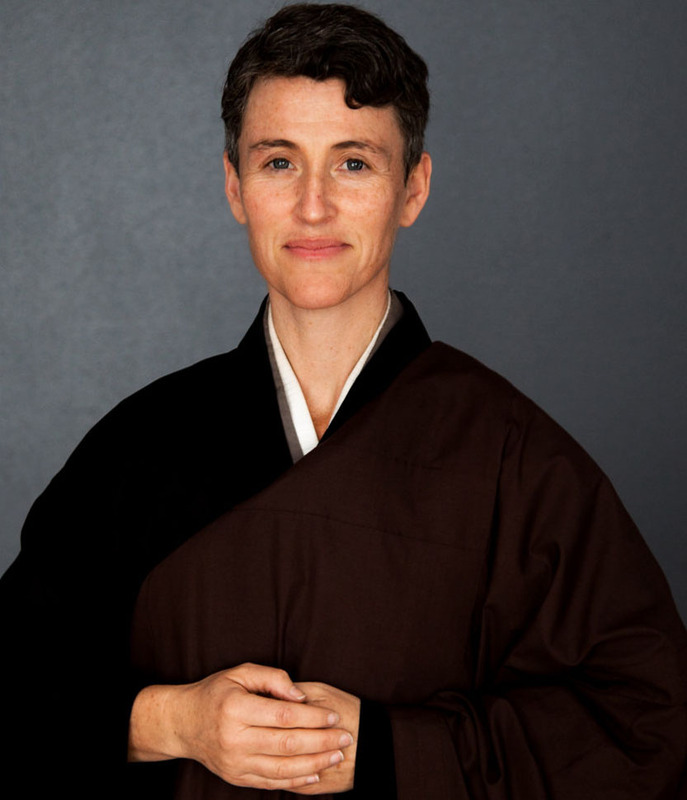 Dōjin Sarah Emerson was ordained by Abbot Gaelyn Godwin at Houston Zen Center in 2007. She received Dharma Transmission (acknowledgment of full ordination and dharma succession) from Abbot Godwin in May, 2015. Cost: $60 general public/$30 members of HZC.